Aaron Alexis, whom the FBI believes to have been responsible for the shootings at the Washington Navy Yard in Washington, D.C., is shown in this handout photo released by the FBI on Monday. 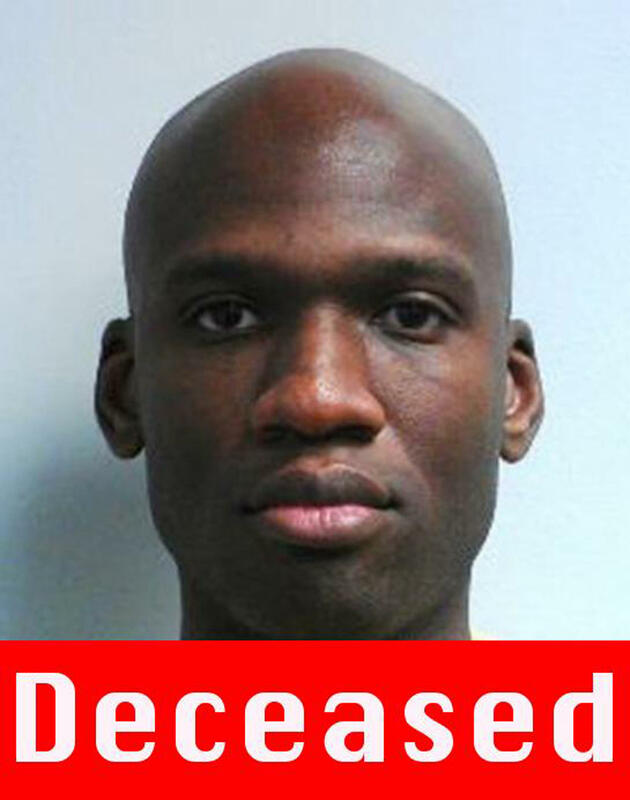 Aaron Alexis, the 34-year-old man believed responsible for Monday's shooting rampage that killed 12 people at the Washington Navy Yard, was a former full-time Navy reservist who had obtained a concealed-carry permit in Texas and was arrested three years ago for illegally discharging a weapon. Alexis, who was also killed on Monday, was an aviation electrician's mate third class in the U.S. Navy Reserve until January 2011, when he received a general discharge amid unspecified "misconduct issues," a Navy official tells NPR. He enlisted in May of 2007. Monday, as we wrote, a Navy official told NPR that Alex had been given a "general discharge" from the Navy in January 2011. That's a step below an "honorable" discharge. But Tuesday a "military official" told NPR's Tom Bowman that while the Navy had pursued a general discharge, Alexis was eventually given an honorable discharge after he applied for the Early Enlistment Transition Program. That program, the Navy says, "allowed approved sailors to voluntarily separate from the Navy prior to the end of their enlistment." Authorities say that so far they have no motive for the attack, which also left a number of people injured. 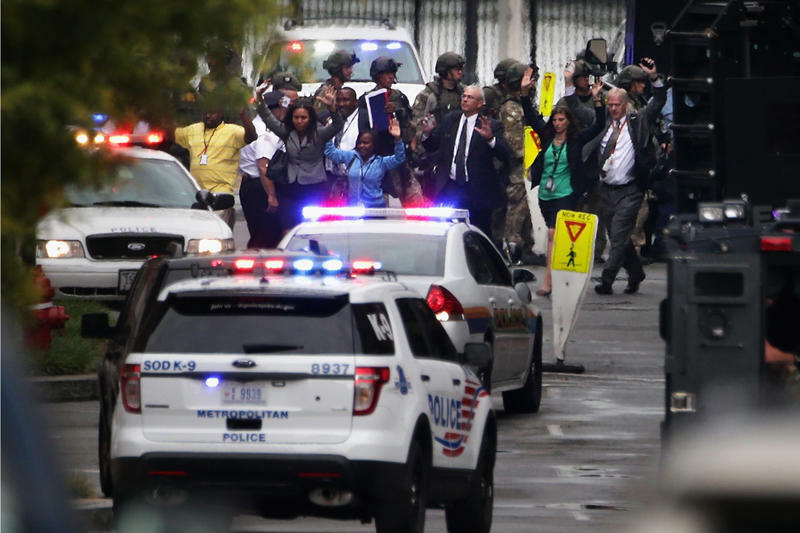 Witnesses at the scene of Monday's carnage at the Southeast D.C. Navy Yard described "a sense of panic" as events unfolded. Valerie Parlave, the assistant director of the FBI's Washington field office, has urged the public to come forward with information regarding Alexis. "No piece of information is too small," she was quoted by The New York Times as saying. "We are looking to learn everything we can about his recent movements, his contacts and his associates." The Times says three weapons — an AR-15-style assault rifle, a shotgun and a semi-automatic pistol — were found on the gunman. Alexis was last attached to Fleet Logistics Support Squadron 46 in Fort Worth, Texas. A biography supplied by the Pentagon said he was originally from New York City. The Navy says Alexis had been awarded the National Defense Service Medal and the Global War on Terrorism Service Medal. The Fort Worth Star-Telegram quoted Nutpisit Suthamtewakul, owner of the Happy Bowl Thai in White Settlement, Texas, who said he'd lived with Alexis for three years. Suthamtewakul described Alexis as "my best friend" and was shocked to learn he'd been killed. "I don't think he'd do this. He has a gun, but I don't think he's that stupid. He didn't seem aggressive to me," he told the newspaper. "Police were dispatched to the Oak Hills apartments about 6:40 p.m. Sept 4, 2010, on a report that someone had fired a shot through the floor and into the ceiling of a woman's apartment, according to a Fort Worth police report. "The woman told police she had been sitting in a chair when she heard a loud pop and saw dust. "The woman told police that Alexis, her downstairs neighbor, did not come up to check on her after the shooting. "She said that Alexis had called police on her several times in the past for 'being loud' but that police never heard anything and therefore, no action was taken.
" 'She said that several days ago Aaron confronted her in the parking lot about making too much noise,' the report states. "The woman told police that she was 'terrified' of Alexis and felt the shooting was done intentionally." Police in Seattle posted documents indicating that Alexis had been arrested in 2004 for "shooting out the tires of another man's vehicle in what Alexis later described to detectives as an anger-fueled 'blackout.' "
NPR's Gene Demby dated one of Alexis' sisters in the early 2000s. He said he played basketball a few times with Alexis, and when Demby visited his girlfriend's house in New York, he said he always saw Alexis playing video games. "I thought he was withdrawn," Demby said, adding that Alexis was "anti-social" and "a little awkward" but he did not seem "violent." Demby told us Alexis was the oldest of three children. His mother worked as a nurse. She and her husband divorced, so Alexis' father was mostly absent. "Aaron never seemed anything other than weird," Demby said. The last time Demby had personal contact with Alexis was around 2004. Michael Ritrovato, a self-described friend of the alleged shooter, told reporters on Monday Alexis was a good shooter, but otherwise an easygoing guy. "Aaron didn't seem like the kind of person who would do something like this," Ritrovato told member station KERA's Stella Chavez and other media gathered outside the Happy Bowl Thai restaurant.